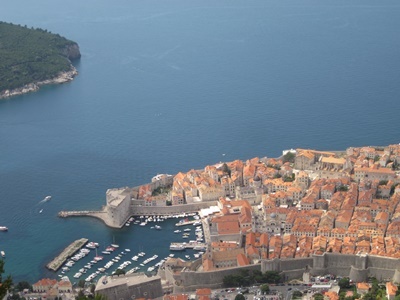 Many travelers while planning their holidays in Europe explore ways of getting from Dubrovnik to Greece. There are a couple of ways of doing this, starting from travelling by plane, by ferries via Italy or buses. The fastest way is travel by airplane while the most convenient and cheapest is to travel by ferry via Italy. Find below detailed explanation of each means of transport between these two destinations. The largest Greek airline, Aegean Airlines starts operating flights between Athens and Dubrovnik starting from 2015 summer season. Flights are available three times a week, on Monday, Thursday and Saturday. Prices for the Aegean Airlines flight to Athens start from €118 for a return ticket and the flights lasts around an hour and a half. 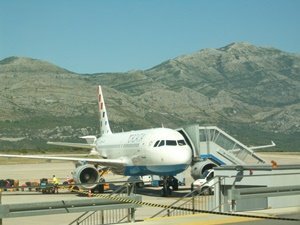 Croatia Airlines has direct flights between Dubrovnik and Athens starting from mid-April until mid-October. In 2019 flights operate three times a week (on Tuesday, Thursday and Sunday). Flight time is around 1 h and 45 minutes. This is the fastest and the most comfortable way to travel from Dubrovnik to Greece but not so cheap. For detailed info and ticket booking visit Croatia Airlines web site. There are no direct ferries sailing from Dubrovnik to any port in Greece. However, you can take Jadrolinija's overnight ferry from Dubrovnik to Bari in Italy (crossing takes approximately 10 hours) and from there take one of the ferries to Greece. Jadrolinija's ferry to Bari runs from March until end of October several times a week. Prices start from €55. Book ferry tickets with Direct Ferries - an online booking service featuring a wide selection of ferry routes across the world. Use Direct Ferries quick and easy search engine to compare available ferry crossings and to book the cheapest ferry tickets. There are two companies running ferries from Bari to Greece: ANEK Superfast and Ventouris Ferries. ANEK Ferries and Superfast Ferries jointly operate route from Italy (Bari) to Greece (Corfu, Igoumenitsa, Patras). This service is available daily throughout the year with stops in Corfu only from 1st of June until end of September. If your final destination is Athens it is recommended to take ferry all the way to Patras (crossing time is approximately 17 hours), due to better connections to Athens. Once you arrive to Patras, you have option of taking a shuttle bus (organized by ferry company) or train to get to Athens. There is also a highway connecting those two cities, so renting a car is another option. If you plan about getting from Dubrovnik to Greece by bus, be aware that there are no direct bus connections. You should take a bus from Dubrovnik to Montenegro, from there change to Albania and futher to Greece. This could be quite challenging and time consuming so thing about taking a ferry or a plane instead.